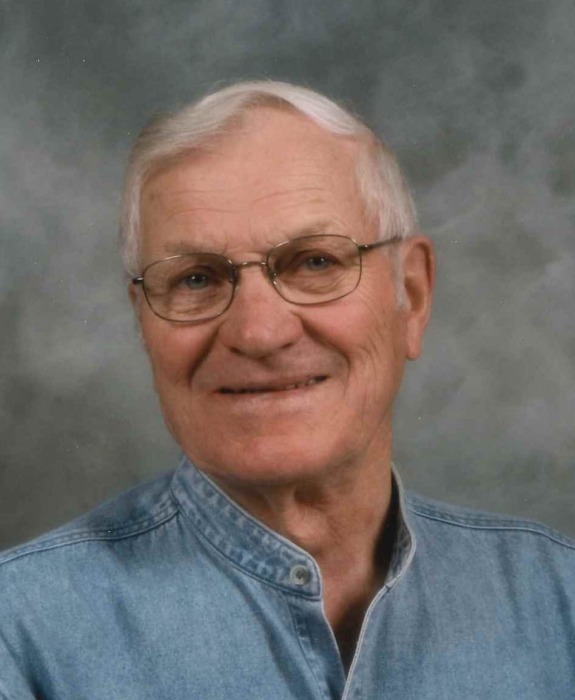 It is with great sadness that the family announces the passing of Steve Stachyshyn, 89 years, of Humboldt and formerly of Foam Lake, on Monday, April 8, 2019 at St. Mary’s Villa in Humboldt. Steve was born on May 12, 1929 at home on the family farm near Bonacord in the Ituna district to Walter and Nellie (nee Warsaba) Stachyshyn. He grew up on the farm and attended Bonacord School. At the age of 15, Steve left home with one of his brothers and hopped the railcars out to Kitimat, BC. There he found work at the Aluminum Mine and then a variety of other jobs. After a while, he moved to Edmonton where he worked at a number of places. On a trip back home when he was 27, he met Marion Luchyshyn, at a ball game. After a whirlwind courtship, they were engaged and headed back to Edmonton where he worked at the government elevators. Steve and Marion were married on October 27, 1957. They moved to Saskatoon for a short time and it was there that their first daughter Lori was born. They then moved and settled in Foam Lake and two more daughters, Gloria and Pat were born there. Steve worked at a number of jobs including welding at Bankend for Leon Malinowski, and working for short stints in both Regina and Yorkton. He eventually landed a job in maintenance at the Foam Lake Hospital, where he spent the remainder of his working career, retiring after 32 years. Steve loved sports, especially hockey and baseball and was a diehard fan of both the Toronto Maple Leafs and the Toronto Blue Jays. He enjoyed carpentry and wood working. In later years, he helped Marion with the gardening and making perogies. In 2006, he suffered a stroke and shortly after, they moved to Humboldt which was their home until the present. Steve will be lovingly remembered by his wife of 61 years, Marion Stachyshyn of Humboldt; their three daughters, seven grandchildren and nine great grandchildren: LORI (Martin) Taje of Blackfalds, AB and her family Shauna (Scott) Bzdel and sons Landon and Keaton of Emerald Park, Jodie (Grant) Erickson and daughter Aubree of Martensville and Brittiny Haw of Olds, AB; GLORIA (Cory) Leibel and family Josh Leibel and Kaden Leibel, all of Blackfalds, AB; and Pat Wittig (Lynn Wourms) of Humboldt and her family Alison (Justin) Korte and sons Reid and Ryder, and Megan (Shane) Haeusler and daughters Zoe and Eva, all of Muenster; brothers Alex (Diane) Stachyshyn and Mike Stachyshyn and sisters Eva McGregor and Ann Stanbury; and by numerous nieces and nephews. Steve was predeceased by his parents, Walter and Nellie Stachyshyn; son-in-law Vern Wittig; brothers: Pete, John, Bill, Matt, Harry, and Frank (in infancy); and sister Mary Grabatin. A Prayer Service for Steve was held on Friday, April 12, 2019 at 7:00 p.m. at Malinoski & Danyluik Funeral Home, led by Jenny Irwin. The Funeral Mass was offered on Saturday, April 13, 2019 at 11:00 a.m. at Holy Eucharist Ukrainian Catholic Church, Foam Lake, celebrated by Fr. Bohdan Lukie, C.Ss.R. Interment followed in the Foam Lake Cemetery. Memorial Donations in Steve’s memory may be made to the Heart and Stroke Foundation of Saskatchewan or St. Mary’s Villa Foundation.